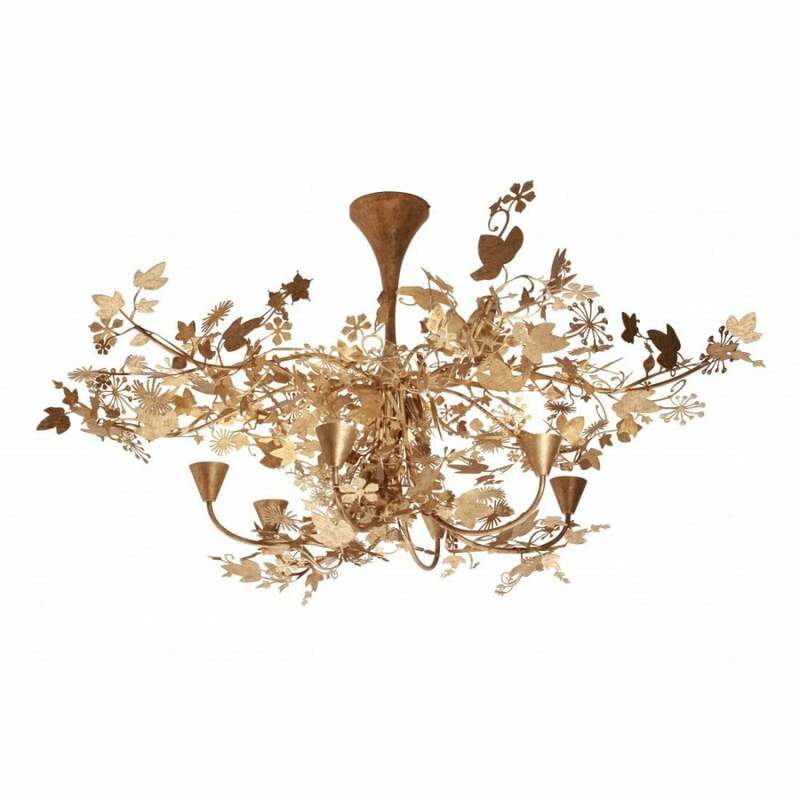 Realised from the vision of Tord Boontje to evoke sunlight through a woodland canopy, the Ivy Shadow chandelier is perhaps one of Porta Romana's most beautiful and romantic chandeliers. Ivy winds its way through the frame creating a natural and organic light. In a choice of three beautiful finishes.